Rotel A12 on seuraava askel A10 vahvistimesta. Nyt mu7kaan tule digitaali liitännät ja etupanelin näyttö sekä kauko-ohjaus. A12 mallissa on 60w teho kanavaa kohden joten laite soittaa isompiakin lattiamalleja ongelmitta. The A12 integrated amplifier displays the same clean lines and intuitive operation as the A14 with output power rated at 60 watts per channel RMS into 8 ohms. 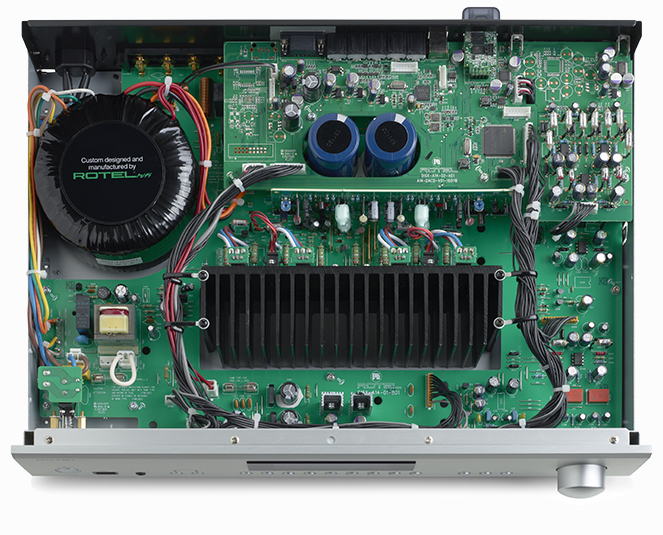 Rotel engineers begin their quest for uncompromising audio performance at the power supply. This is the heart of an amplifier and an area where considerable time and investment is spent. 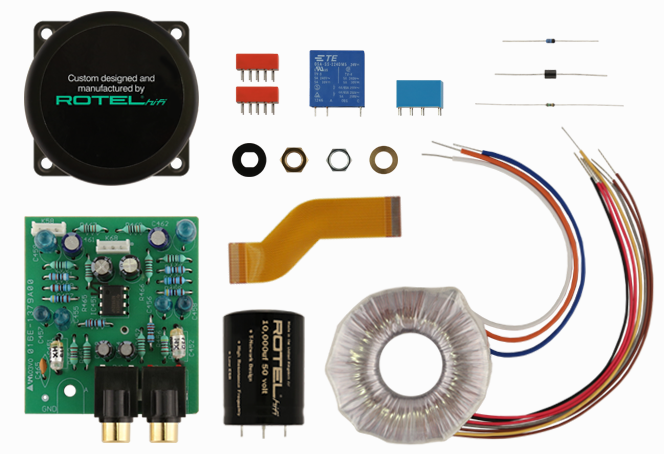 Rotel manufactures its own toroidal transformers in-house to high tolerances using raw materials selected from proven, trusted suppliers. The result is a rugged power supply that won’t easily distort the music under dynamic conditions or with difficult speaker loads.